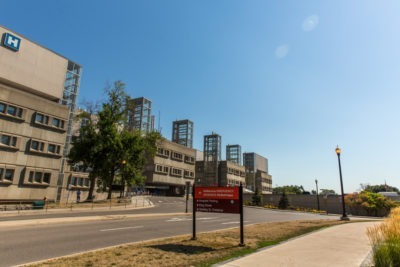 Hamilton Health Sciences offers three outpatient retail pharmacies, located at McMaster University Medical Centre, Hamilton General Hospital, and Juravinski Cancer Centre. Our retail pharmacies are fully accredited, offer professional advice and education, and accept all major private insurance plans, including HHS’ staff plan. Similar to pharmacies found in the community, our pharmacies can fill regular and specialty prescriptions for patients, including those discharged from hospital, as well as for hospital staff and the general public. All profits generated by our retail pharmacies are used to support various hospital initiatives. Our retail pharmacies are able to fill prescriptions in the same manner as your local pharmacy. Licensed pharmacists with specialized knowledge in a range of medical conditions are able to provide information on prescriptions, over-the-counter medications, and other healthcare products. During flu season, all of HHS’ Retail Pharmacies offer flu shots to patients, staff, and the general public. The Hamilton General Drugstore is located in the main lobby of the Hamilton General Hospital, right beside the Information Kiosk. 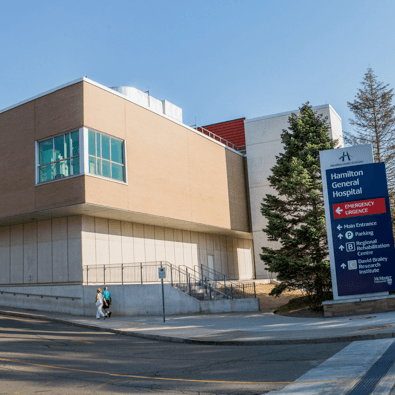 By working closely with health care professionals at the Hamilton General Hospital, we are able to stock hard to find medications and special over-the-counter products that are not readily available in the community. Our team also offers no-fee smoking cessation counseling and nutritional counseling. Monday to Friday, 9:00 a.m. – 5:00 p.m. 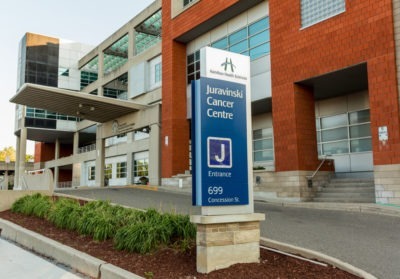 The Juravinski Cancer Centre (JCC) Retail Pharmacy, also known as the Cancer Centre Pharmacy, is located on the second level of the JCC, near the main elevators and across from the Supportive Care reception. The Cancer Centre Pharmacy specializes in providing cancer medications that are not found in community pharmacies, as well as supportive medications for patients receiving chemotherapy or radiation therapy. Since we specialize in providing medications related to your care at JCC, patients are encouraged to fill prescriptions at JCC Retail Pharmacy to avoid any disruption in medication treatment. Patients are reminded to call the pharmacy 1-2 days before refills are required in order to minimize your wait time. Monday to Friday, 8:00 a.m. – 5:00 p.m. The McMaster Drugstore is located beside the Gift Shoppe in the main lobby of the McMaster University Medical Centre. McMaster Drugstore is able to offer unique pharmacy services not available in community pharmacies, including stocking hard to find medications and special over-the-counter products.